“Humans and machines will increasingly support each other in the workplace. For processes to be efficient, the machine must respond to the human worker without any time delay. Thanks to sophisticated high-speed 3D measurement and sensor technology, researchers at the Fraunhofer Institute for Applied Optics and Precision Engineering IOF are making this real-time interaction possible. 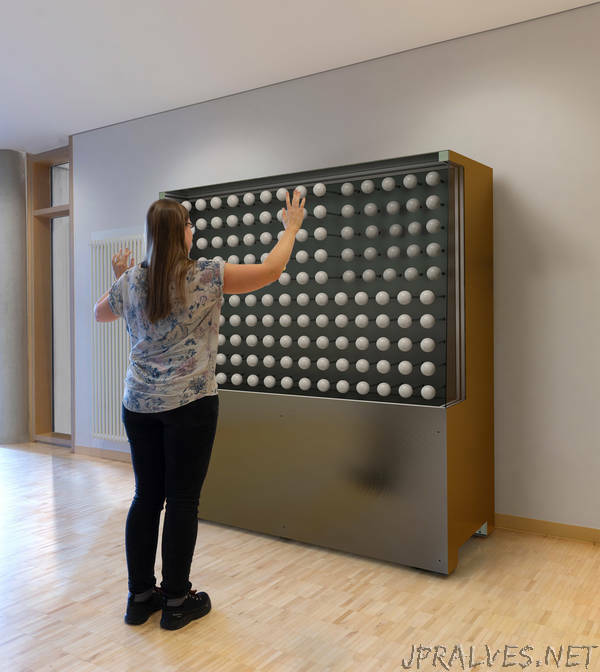 They will be demonstrating how this works in practice at the Hannover Messe trade show from April 1 to 5, 2019 using the example of an interactive wall of spheres that reacts immediately, contact-free and in three dimensions to every movement of a person standing in front of it (Hall 2, Booth C22).